Scripture, poetry and/or other works of literature are often incorporated into the funeral service, thereby providing insight, comfort and inspiration to family and friends alike. 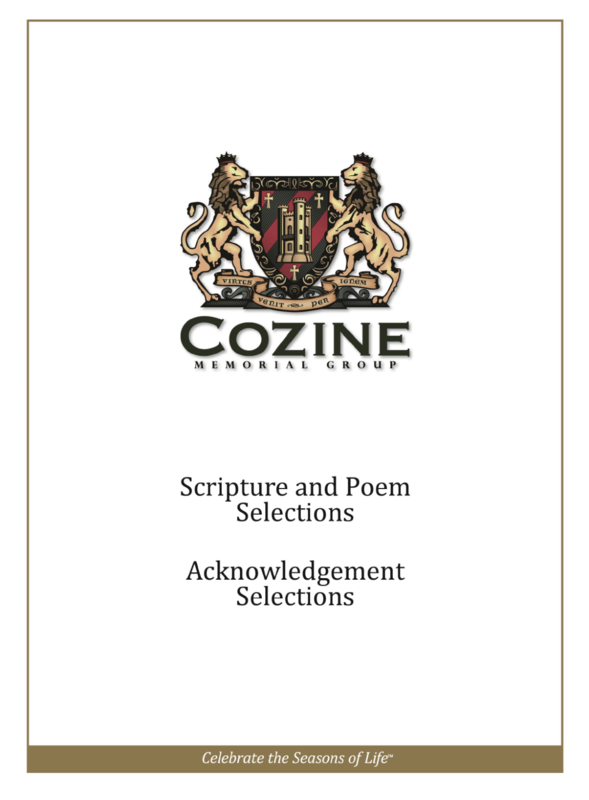 We are pleased to provide this collection of often used scriptures and poems to help you determine an appropriate selection for your service. If you do not find one that you wish to use, we will be pleased to make other suggestions.